A rumour from SamMobiles has suggested that Samsung's Project J is much more than simply one device. The suggestion now is that Project J can be broken down into three separate things. They are the Altius, the Project J Mini Serrano and the Project J Active Fortius. The Altius is now expected to be the Samsung Galaxy S4, the Serrano is hinted at being the Galaxy S4 Mini and finally the Active Fotius is meant to be some sort of wearable smartwatch! Each of these will have a host of accessories which can be seen at the source link below!Via SamMobiles. Nokia have sold their Oulu Campus for €30.5 million. They will do the same thing they did with their Espoo headquarters and rent it back as they continue to use it! Facebook is facing legal action over their 'like' button from a patent-holding company acting on behalf of a dead Dutch programmer called Joannes Jozef Everardus van Der Meer. The suers seem quite confident that they'll be successful in any litigation, but we'll have to wait and see! Sony France have confirmed that they will be launching the Xperia V in the country in March. It's an interesting decision to take at this point, but perhaps the company just wants to offer consumers something a bit smaller than the 5" Xperia Z flagship! Bluestacks have officially announced their app player for the Surface Pro today and assuming you could Android emulation as fully-fledged apps then the amount of apps available for the Surface Pro has been bumped up from around 30,000 to 750,000 now! Microsoft have announced that they have now shipped 76 million Xbox 360's and sold more than 24 million Kinects! The company also confirmed that they have more than 46 million paying Xbox Live subscribers. That makes the company's Xbox 360 the fourth best-selling home video game console of all time behind Nintendo’s Wii, Sony’s PlayStation One and PlayStation Two consoles which come in third, second and first in the all time rankings! 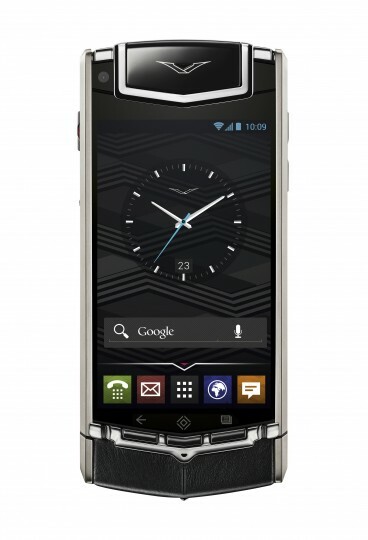 And finally, Vertu have shown off their newest smartphone, the Vertu Ti. As you would expect with a super-luxury smartphone you get a bit of a mixed bag when it comes to specs and software. In this particular example though there's a 3.7-inch Sapphire crystal screen, dual-core 1.7GHz Qualcomm Snapdragon S4 processor, 64GB of internal storage, NFC, a 1.3 megapixel front and an 8 megapixel rear-facing camera and Android 4.0 Ice Cream Sandwich. You can find full details here!